Body odor is the smell caused by bacterial growth on our skin. These bacteria multiply very rapidly in the presence of sweat, but sweat itself is virtually odorless. There are many areas of the body that are associated with body odor including the arm pits, scalp and feet. Body odor is a very individual thing and it may not be offensive for everyone. For some though body odor can smell quite bad and cause a great deal of stress and embarrassment. Genetics can play a part in who will suffer from body odour however the main cause is the lack of purification within the body system. 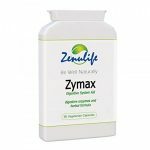 Impurities and excessive toxins can overload the liver and natural cleansing process thus forcing the body to rid toxins through sweat glands. The bacteria produced during sweating can cause boy odor. This is because of the chemicals found in peoples sweat are caused as bacteria break down amino acids on the skin. Stress can also cause body odour because cold sweats can smell much worse than regular sweat. Although there are some medical conditions that can cause a person to smell bad, for the most part you should not be worried. One of the best ways to fight body odor is through proper personal hygiene. You should shower regularly and make sure that you dry off properly. For you arm pits and feet make sure that you use an antibacterial soap or deodorant soap. Deodorant soap is too harsh for the rest of your body; so do not use it all over. It is also a good idea to drink more water. When you wash your hair make sure that you scrub your scalp with your finger tips. Dry off well paying attention to any skin folds and between your toes. Excess moisture left on your body after bathing is a breeding ground for bacteria. 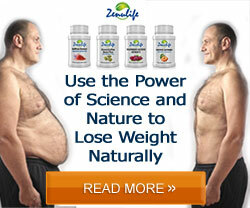 Your diet can also help you overcome body odor. You should eat plenty of fruits and vegetables and try to have a green salad with your lunch and dinner. Instead of eating greasy or salty snacks, grab an apple, orange or a handful of grapes. Reduce your intake of hard to digest foods such as processed meats, rich deserts and spicy foods. There are herbal remedies that can help with body odour as well. Sage, parsley and alfalfa all have anti-bacterial properties and consuming them helps the body stay free of the bacteria that cause body odour. Parsley is one of the best because it contains zinc which gives it extra anti-bacterial powers. Make sure that you are drinking plenty of water to flush the body and help keep you free of toxins. 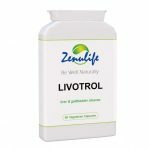 Zenulife recommends Livotrol as a natural supplement to help cleanse the liver and help the body rid toxins.